There has been a lot of press about 3D at the movies and it seems that every so-so movie ( anyone seen Drive Angry 3D?) has to be filmed in 3D, even if most of the public wonders why. Avatar has a lot to answer for! Although thankfully, none of the major Oscar contenders had to rely on the 3D gimmick to get their message across. So where is the real 3D revolution. It is is in printers of all things. An excellent summary of the technology can be found in the Economist. Basically, using the the same technology used by ink-jet printers, 3D objects are printed by laying down layer upon layer until the object is complete. While now limited to certain plastics, resins and metals, this approach has the potential of manufacturing. The benefits are enormous. 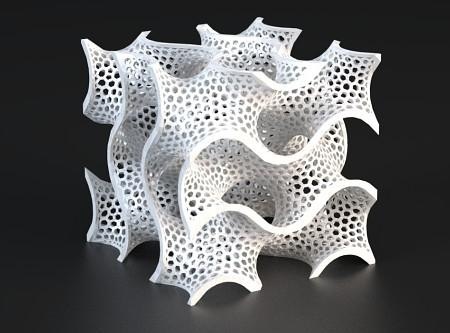 Using ‘additive manufacturing’ can result in material use of 10% when compared to traditional milling techniques, it is also software-defined, so changes can be made very easily and the new ‘blueprint’ sent digitally. We are not far off from the day, when you receive a recall notice for a faulty part in your car, you will take it down to the local service station and they will manufacture the part then and there. But I don’t think things will stop there, in much the same way that the personal computer put computing power previously reserved for large businesses in the hands of the Joan and Joe Consumer, the same will happen with custom manufacturing. 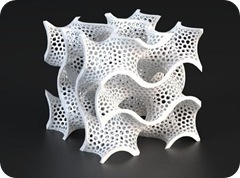 Already there are companies, like “Shapeways” and “Digital Forming” that provide a design interface and the manufacturing supply chain to allow consumers to create unique bespoke items. Just came across this amazing talk by Anthony Atala from the TED conference. He shows a human kidney being printed. Science is wonderful. This entry was posted in Business Model, science, technology and tagged 3D, additive manufacturing by geoff. Bookmark the permalink. Just added the TED talk by Anthony Atala from Wake Forest Institute of Regenerative Medicine.